by Eric Hurwitz. Page updated on 11/16/16. Welcome to your New England dining out guide, presented to you by "the locals." At Visiting New England, we just don't write dining reviews, we live and breathe the part as lifelong New England residents constantly looking for the best New England restaurants for our families and friends. The results are passed along to you, gaining an "inside track" on what places New Englanders hold dearest to their hearts. Our dining section, for years, has appealed to the New England traveler, as well as the native New Englander looking for great New England clam chowder, lobster and "cheap eats" appealing to families and college students looking for affordable restaurants. Additionally, we feature hidden gems, fine dining, charming New England restaurants, romantic New England dining, Boston restaurant recommendations and the latest "scoop" on terrific ice cream stands. An eternal appetite tempered with enthusiasm, humor and lively writing in a fair and balanced style creates a dining guide that is the next best thing to being there. Without further ado, please enjoy the restaurant and food destination articles below. Please note that while our web site is being remodeled, the paging format might look different page to page, but all the articles maintain the same high quality and commitment to helping you find some great dining out destinations in New England! *Salem Cross Inn, West Brookfield, Mass. *Woodman's of Essex, Essex, Mass. Parker's Maple Barn, Mason, N.H.
*Vanilla Bean Cafe, Pomfret, Mass. Olneyville New York System Wieners, Providence, R.I.
*Bull Run Restaurant, Shirley, Mass. 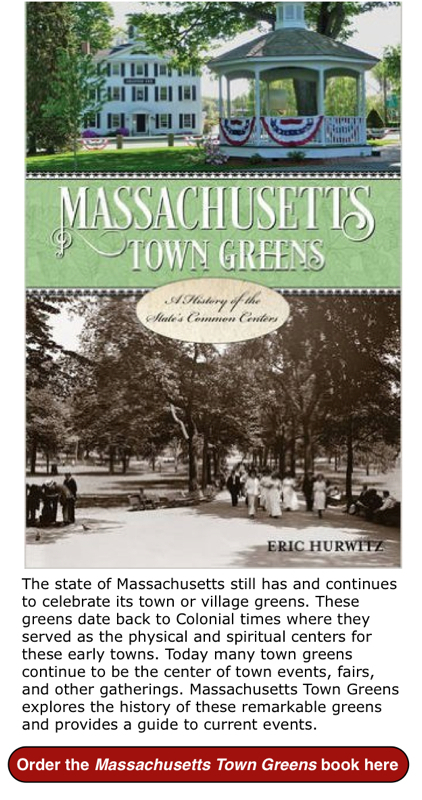 *The Beach Plum in North Hampton, Portsmouth and Epping, N.H.
Michael's Sunburst Deli and Cafe, Wrentham, Mass. *Ken's NY Style Deli & Brick Oven Pizzeria, Bedford, Mass. *Copper Door Restaurant, Bedford, N.H.
*Red Heat Tavern, Bedford, Mass. *Schoolhouse Ice Cream, Burlington, Mass. *Simple Man Saloon, Clinton, Mass. 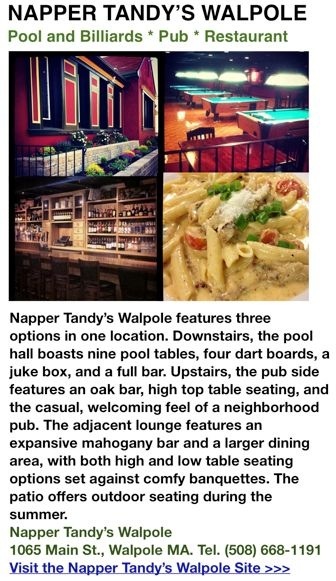 *Maddi's Cookery & TapHouse, Worcester, Mass. *The Charred Oak Tavern, Middleborough, Mass. *Hager's Farm Market, Shelburne, Mass. *Cushman Market and Cafe, Amherst, Mass. *Barrett's Alehouse, West Bridgewater, Mass. *Beantown Pastrami Co., Boston, Mass. *Main Streets Market & Cafe, Concord, Mass. *Quahog Republic/Captains's Den, Plymouth, Mass. 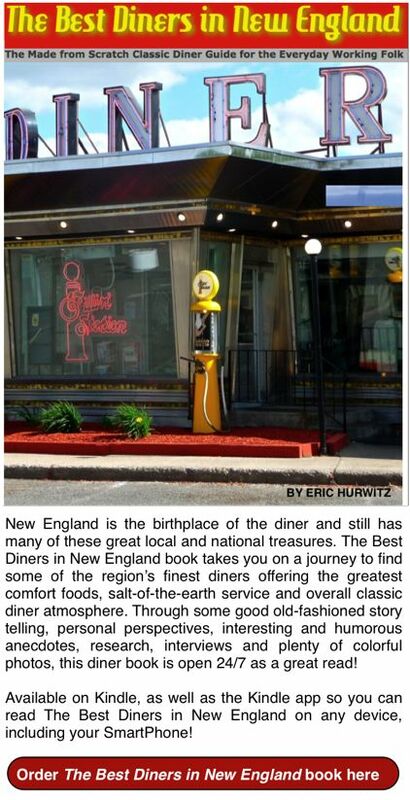 *Al Mac's Diner, Fall River, Mass. Howard's Drive-in, West Brookfield, Mass. Markey's Lobster Pool, Seabrook, N.H.
*The Good Food Store, Walpole, Mass. *Little Falls Cafe and Bakery, Pawtuxet Village, R.I.
My Sister and I, Bridgewater, Mass. Farmer in the Dell, Walpole, Mass. 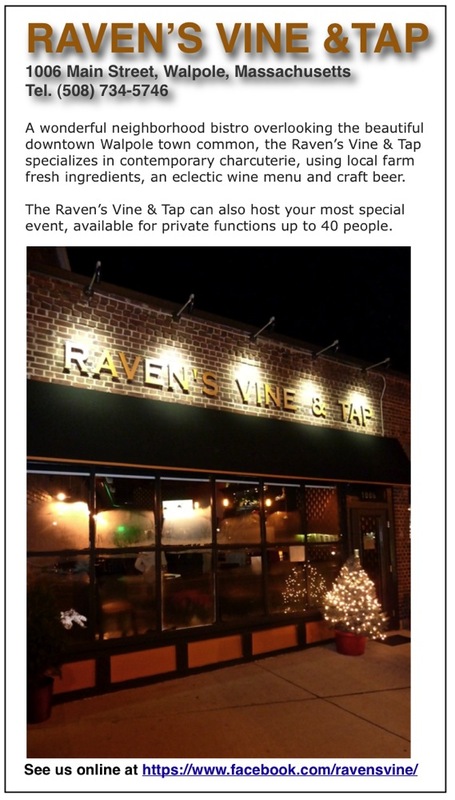 *Raven's Vine and Tap, Walpole, Mass. Costello's Clam Shack, Noank, Conn. The Beef Barn, North Smithfield, R.I.
Bliss Family Restaurant, Attleboro, Mass. The Raven's Nest, Walpole, Mass. Milk Bottle Restaurant, Raynham, Mass. *Eagle Brook Saloon, Norfolk, Mass. Brown's Lobster Pound, Seabrook, N.H.
Ma Glocker's berched chicken dinner, River Falls Restaurant, Woonsocket, R.I. Mug "n Muffin, Norwood, Mass. Colonial House Restaurant, Norwood, Mass. Mr. Bartley's Burger Cottage, Cambridge, Mass. Boston Burger Company, Cambridge, Mass. Bevenento's in the North End of Boston, Mass. The amazing salad bar at Lambert's Rainbow Fruit in Westwood, Mass. Harrows Chicken Pot Pies, Reading, Mass. King Street Cafe on the Charles, Millis, Mass. Noon Hill Grill, Medfield, Mass. *The Whoo(pie) Wagon, Topsfield, Mass. 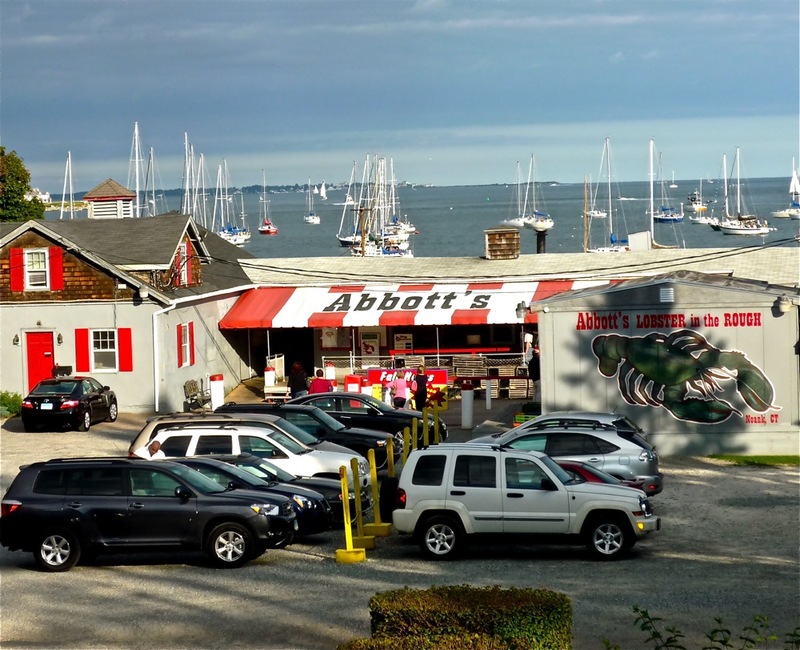 *Abbott's Frozen Custard in Needham and Brighton, Mass. *Crescent Ridge Dairy, Sharon, Mass. *Ever So Humble Pie Company, East Walpole, Mass. Country Kitchen Donuts, Walpole, Mass. Yum Yum Shop, Wolfeboro, N.H. Mystic Drawbridge Ice Cream, Mystic, Conn.
Ice Cream Machine, Cumberland, R.I.
*The Juice Mill, downtown Bridgewater, Mass. Chocolate Cake from Vernon Diner in Vernon, Conn.
Ben and Jerry's Ice Cream Factory Tour, Waterbury, Vt.
Bibi Cafe and Bakery, Westwood, Mass.